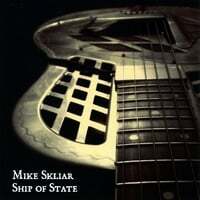 Several years in the making, "Ship of State" is an exciting and dynamic work with 20 songs covering a huge range of styles and moods, from the driving rock and roll of "Money Blues" to the gospel call-and-response state-of the-nation song "Ship of State" to the jazz harmonies and chords of "Song for Ruth" ... and that's just the first three songs! Other styles/moods include fingerpicked blues, bluegrass, 'spoken word-jazz', Beatles-flavored pop/rock, and not least, a Dylanesque word-play. Now available on iTunes! . Buy it now from CD Baby. 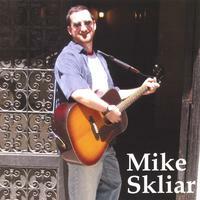 The songs on Mike's first album were written over the course of several years and show Mike's love of traditional Americana roots music as well as an evident sense of humor. The songs cover a musical range including rock, blues, country, and folk, and a huge lyrical range as well. From the poetic and personal to the uproariously funny to the political to the touching tribute to the famous and non-famous, it's a unique ride. You can also buy it on CD Baby, or on iTunes and Amazon.